Henry wins a Hollywood contest and meets the most beautiful woman in Hollywood. Of course, things happen in Hollywood and he becomes known as a “wolf” to all the girls in Centerville. 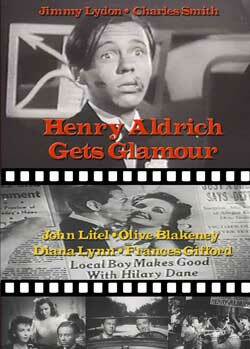 Henry has to decide whom he wants to take to the school dance, his girlfriend or the bombshell at school. Then it happens – will Henry marry the actress or stay in Centerville? This is a real funny movie, probably the best of all Henry’s. It epitomizes teen life and love in the 40’s. A must see for all. Starring: Jimmy Lydon, Charles Smith, John Litel, Olive Blakeney, Diana Lynn, Frances Gifford, Gail Russell, Bill Goodwin.